Bernie's Equipment offers all the equipment you need to create a safe and efficient loading dock. We will help you maximize the transfer of freight at your loading dock, maintain productivity and improve safety. Call Bernie's Equipment for a complete analysis of your loading dock needs. We represent McGuire, Pentalift and Nova Technologies - quality manufacturers that have been producing proven dock equipment for years. 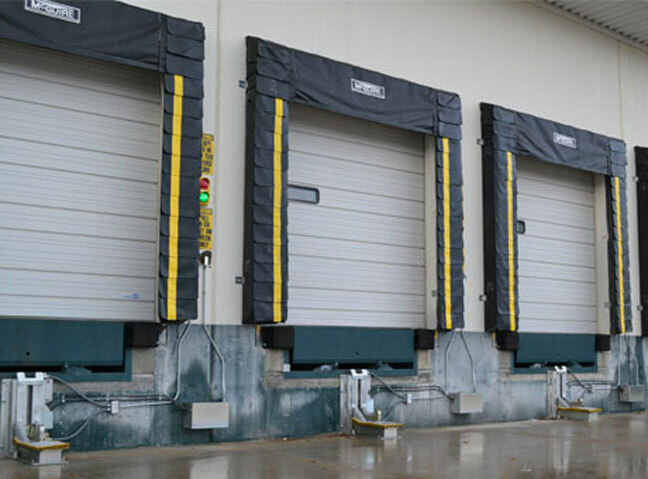 Choose from a full range of loading dock products: Mechanical Dock Levelers, Hydraulic Dock Levelers, Vehicle Restraints, Safety Barriers, Vertical Storing Dock Levelers, Truck Levelers and Dock Seals & Truck Shelters.